Do you want to sell your nature photos on the internet? Selling your work online is a great way to get your photography in front of a larger audience and add a new revenue stream to your business. In this article, we will share the 15 best places to sell your nature photography online. There are many different platforms available to sell nature photography on the web. We’ve picked some of the best places for you to sell your photos, so you can start earning money for your work online. To sell all other photos, check out our guide for the Top 12 Places to Sell Photos Online and Make Money. This list is separated between platforms with Rights Managed Licensing and those with Royalty-Free Licensing. With rights managed licensing, the buyer pays a licensing fee in order to use your image, and that fee is based on their usage of the image. This allows you to completely control how your images are used, how long they may be used, and where they may be used. That’s the big plus to going the rights managed route, and many professional photographers prefer this method of selling for that reason. However, the buyer also has the option to purchase exclusive rights to your photo, so if you go this route and the customer buys exclusive rights, you will not be able to sell that particular photo again. Just keep that in mind. Nature Picture Library is an image library that showcases nature and wildlife photos. It is a highly professional platform to sell your work. You can contact them to showcase your work in the Nature Picture Library and start earning money from your photos. Minden Pictures is the premier provider of nature stock photos. It features award-winning nature photographers. Contact them to become a contributor and feature your work at Minden Pictures. It is a great platform to sell your nature photos. Animals Animals is a place for nature and wildlife photographers to sell their photos. The website works with photographers on a contract basis. You’ll need to follow the guidelines for photographers for your photos to be considered. National Geographic Images are famous for their nature shows. Their website hosts award-winning photographers that capture beautiful nature images. You can contact them to become a contributor and start selling your photos through their site. Steve Bloom Images represents some of the most accomplished nature photographers. You can sell your photos and photo stories from this platform. Not only can you sell your photos through Steve Bloom’s website, but they also allow you to use rights managed licensing so you know exactly how your photos are being used. Contact them for more information. Fine Art America is a marketplace for wall art prints, posters, and all types of home decor with photography on them. They have a great collection of nature and wildlife photos and tend to attract buyers looking for these types of prints. Once a customer selects something from your work they can have the site print it on any of their offered items. You can also choose to sell your finished products you’ve printed to keep all of the earnings. With the variety of images they accept, you can feature and sell your photos while making extra money hassle free and let them handle the transaction and shipping. You can start selling from their site here. Sea Pics features ocean wildlife photos from all over the world. You’ll need to submit some sample photos, and once your images are approved, you can submit the photos you want to sell here. This platform specializes in marine photography, so only apply here if you have relevant photos to sell. Read the submission guidelines for more information. Photoshot Collection is a hub of world-class nature photography. Their focus includes trees, marine life, animals, and more. They have a large number of buyers, so you have a lot of earning potential using this platform. Contact them for more information about becoming a contributor. DRK Photo is another great photo selling website. You can take orders for prints from this website. They work with major magazines and other platforms, so you have an opportunity to sell your work to an even bigger audience. Read their prospective photographers page for their official guidelines. The difference between royalty-free licensing and rights managed licensing is that, with a royalty-free license, the buys pays you a one-off fee and then they can use your photo however they want with no restrictions. With royalty-free licensing, you may sell your image multiple times to different buyers, as often as you want. 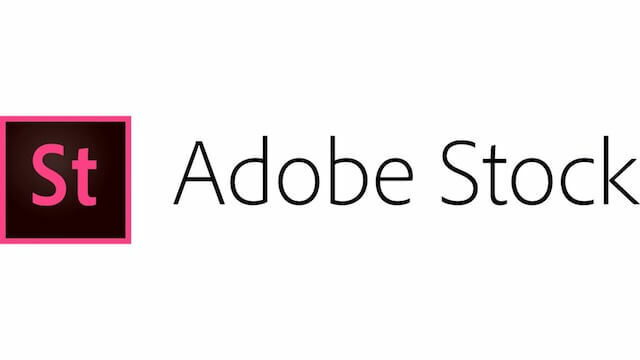 Adobe Stock, formerly Fotolia, is another giant in the nature stock photo purchasing and selling space. With a large community of creatives and image buyers. You can upload your photos for free to the Adobe Stock library. You can earn a greater share for each image that you sell exclusively on Adobe Stock. Click here to start uploading to Adobe Stock. iStockPhoto is a reliable platform to sell your nature photography online. It has a large number of visitors and users. To add your photos at iStockPhoto, you first need to submit a few samples. If your sample photos are approved, then you will be able to sell your photos. BigStockPhoto is a managed photo selling system. You can signup for free, but you’ll need to complete their tutorial to start adding your photos. All your photos must be approved by the BigStockPhoto team. You can maintain and grow your portfolio to earn more with BigStock. CanStockPhoto is another photo selling website. They have an application process to get your account approved, and then you will be able to sell your nature photos here. You can earn even more by referring CanStockPhoto to your friends. They also give an additional commission for exclusive photos. Shutterstock is a well-known photo selling website with a large number of image buyers. You can build your contributor portfolio and earn more as the popularity of your portfolio grows. Dreamstime is a review-based photo selling platform. It allows you to become a member and upload photos. Once your photos are approved, they will be available for buyers. This website pays on the basis of the number of downloads. The more your images are downloaded, the more you earn from Dreamstime. Read more on their FAQ / contributor-related questions page. 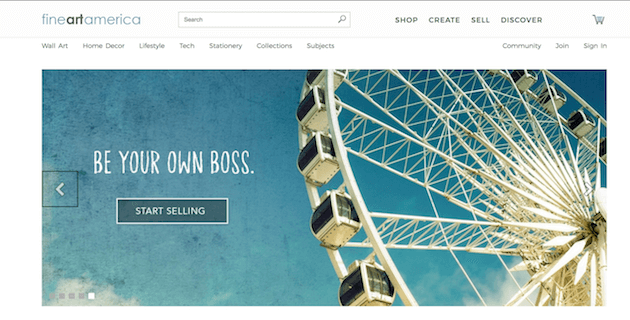 Creative Market is a marketplace for you to sell your photos with over 15000 creators. It allows visitors to signup and get multiple free resources. If you want to earn more from your photos, then Creative Market is the right option. They pay 70% of every sale to the creators, and there are no hidden policies. We hope this article has helped you to find the best places to sell your nature photography online. Any image that preserves History for future Photographers is.. Photography.? I have natural geographic pictures to sell. How do I sell it. Have you figured out how to sell yet? Very helpful article..thank you for taking the time to write it…l am an advanced amateur photograher with many shots friends are urging me to sell, and now you have a place to start. I’m a new amateur photographer. I have about 500 shots +/-, maybe less than half are on Facebook. If I wanted to sell those shots would I need to take those down off my board or would I be able to keep them up if someone bought the rights? I was looking for something basic right now I just want people to see my pictures on Google when they search. Can you belong to more than one site? I captured a picture of a cloud that looks like a war ship. This cloud is very detailed and was taken from the pier in Panama City beach Florida. I know the right person will be amazed from this picture. Also the war was from September 1 1939. To September 2nd if 1945. And I took this picture on September 17 2018. It really is remarkable. I’ve not shared with anyone as of yet. Can i sell my photos on more then one site? My husband and I have been traveling the U.S. for over a year now and I’ve been taking lots of photos of the diverse landscape. One of my favorite subjects is old barns. My question is can I sell photos of someone’s barn without their permission?